Here’s how to download and install GBA4iOS 2.1 IPA Game Boy Advance emulator on iOS 10. No jailbreak is required for this to work. Ever since the early days of jailbreaking, one of the most popular reasons to hack an iPhone was to enable playing of things like GBA, NDS or PS games via emulators. One of the most popular emulators has been GBA4iOS, which allows iPhone and iPad owners to play Game Boy Advance games on their mobile devices. 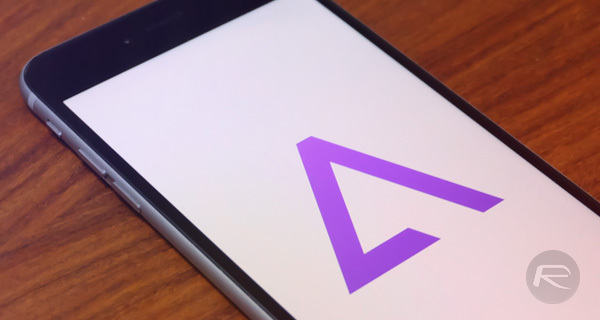 GBA4iOS historically didn’t require a jailbroken device in order to work, instead it used signed enterprise certificates to allow users to install the emulator. Unfortunately, Apple revoked all such enterprise certificates fairly quickly, but a new version of GBA4iOS is now available. And the good news is that now you can sideload it to the device using a free developer certificate of your own, although you will have to do this every seven days unless and until of course you use full developer account’s credentials to sign the certificate for yourself. Oh, and it works on iOS 8.1 and above, including iOS 9 and even iOS 10. The emulator has more to offer, but you’ll need to install it and get your ROMs into it in order to really put GBA4iOS 2.1 through its paces. To that end, here’s what you need to do to install the emulator. Step 1: First up, you will of course need to download the GBA4iOS 2.1 IPA file, which you can do so from here. Step 3: When the installation of the IPA file you just sideloaded is complete, you will have a new GBA4iOS icon on your Home screen. Navigate to General > Profile(s) > [name of the developer] and then tap on Trust and then Trust again on the certificate. On some iOS versions, this would be General > Profile(s) & Device Management or simply General > Device Management. Note: On iOS 8, you just need to launch the app from the Home screen and hit Trust on the confirmation popup. That’s pretty much it. The emulator is now installed and ready for launch from the Home screen. You just need to get some ROMs for your favorite Game Boy Advance games, which you can easily find on the web. That’s it. Installation doesn’t come much easier than that! 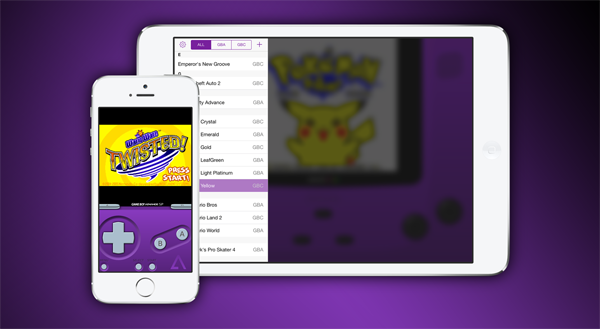 Enjoy GB, GBC and GBA games on your iPhone or iPad! Anybody knows a good site for roms? 2nd post in as many weeks advising readers to add a trust relationship to software of dubious origin. Think people. Oliver Haslam, what’s your angle? Getting a cut of the credit card scam action? it didn’t work with my ipad mini with retina, iOS 9,1. I managed to download the GBA4IOS itself but I can’t play the games I have downloaded because they’re zip files. What the hell are you talking about? GBA4iOS has been made by Riley Testut and has been active for several years in the jailbreak scene. No one is forcing you to download or use this application. Would you download an anti-virus from a torrent site? My point is that you’re adding a trust relationship to a random Chinese signature site that could add anything they wanted along with the software. Essentially, you’ve signed a blank cheque for them. 1. Download Dropbox on both your computer and phone if you haven’t already. 2. Get on computer/laptop, extract the zip files and drag the actual game files out. 3. Get on phone, export the files, and open them in GBA4iOS. 4. If that works, enjoy the games! It was recently revoked. It worked for two days and I made the mistake of deleting it. I tried downloading it again and failed. I download it and works very good, but u know why the cheats codes for pokemon ruby are not longer working? Is there another method? This no longer works. When will the release for iOS 9.3.3 be out?? Apple is on a developer license deletion spree. They’re blocking all options for loading 3rd party apps. And here I thought I wouldn’t need to jailbreak my phone this generation. If you block legitimate methods, you encourage jailbreaks. 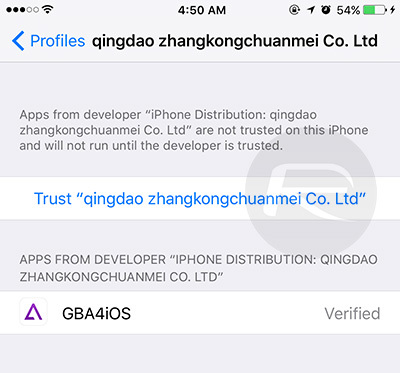 My phone tells me that “iPhone distribution: EAST WEST EXPERTISE SRL is not verified on this iPhone and will not run until the app is verified using your network connection.” I hit the “Verify App” option, but nothing happens. No pop up or message telling me that it can or cannot be verified. I run 10.1.1 and it working fine about 8 hours age. Help? This method only worked for about a day on a iPhone 7 running the latest iOS update. Its stuck on being verified. Same for me too. I have iOS 10 and all there doing is making me want to jailbreak it more but I don’t want to brick my system. All I want to do Is play free Pokémon.